jan chetna marketing network pvt. 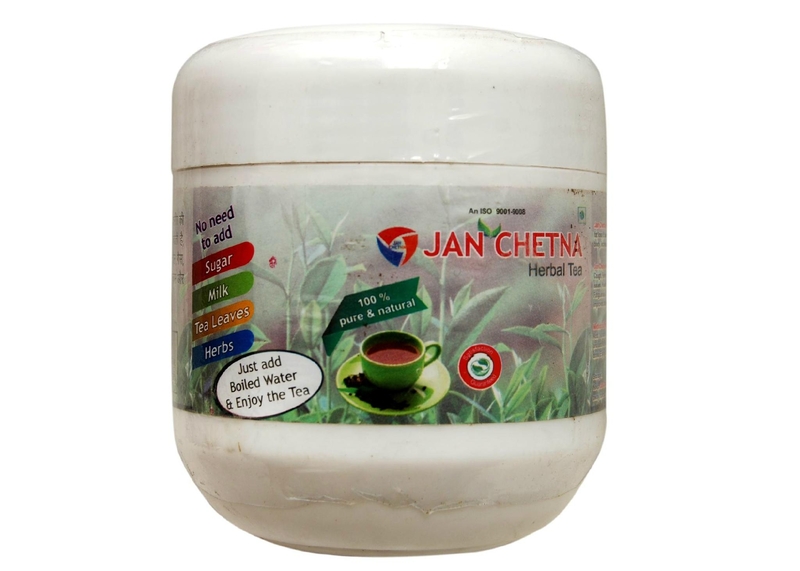 Ltd.
Jan Chetna Herbal tea is made up of 100% herbs and Indian spices. It is loaded with antioxidants and various substance that are beneficial for our health. This Tea tastes just like a homemade tea. It included more than thirty-two herbs and more over we need not to add anything in this tea. You just have to take boiling water and to add one spoon of it and it is ready to take. Below are the benefits of our Jan Chetna Herbal Tea. 1. It helps in burning calories with natural herbs resulting in fat loss. 2. Works as body tonic for the body. 3. Increases our body immunity and gives relaxation to brain. 4. It has a rich medicinal properties and cures 75% to 80% diseases from our body like Constipation, dizziness Drowsiness, acidity, fatigueness, cold headache.health related issues and many more. This tea is best for the people who are having joint-pain due to their old age.